Some associate camping with campfires in the bush, others with a weekend on the water. There’s solo camping, adventure camping, backyard camping, beach camping, couple’s camping, river camping and a whole lot in between. For any true festival fan, this is a big one. Don’t want to miss a minute? Camping is the way to go. With some campgrounds situated just minutes from the CBD, it’s the best way to ensure you’re not far from the action at any time. Some of the best festival experiences are those where chance upon a brand new group of friends, a sense of comradery following you back to the real world. If “meeting people” and “hanging out with friends” are at the top of your hobby list (alongside “country music” of course), camping is where it’s at. You’ve got a whole itinerary of things planned – a lot of them are free but some aren’t. And what if your favourite artist announces a late show and you’ve already splurged on accommodation? Or you’ve had kebabs for lunch a few too many days in a row, and you think it’s time to branch out. Well, if you’re camping, there’s a whole lot more dough in your pocket for treating yourself, and those around you. Keep that spending money for making memories while you’re awake! Now this is a good one… if leaving your four-legged friend at home was your (bad) reason for missing #TCMF2019, get that diary out now! Some campgrounds have thrown their gates open to pets (though we do recommend you check terms & conditions upon booking). Love the idea of camping, hate the idea of bringing all the *stuff*? If you’re nodding your head, we’ve got one word for you – Mooggee. They provide pre-pitched camping options with a lock up facility for your gear, staff on hand 24 hours, an excellent location (200m from Toyota Park and the CBD) and quality amenities. AND you can hire sleeping bags, airbeds, chairs and stretchers from them separately. Seriously, we’re not sure why you’re still reading this and not on their page booking. Now we’re not promising anything. BUT, we’ve heard that there are a few campgrounds where you get a little bit of extra bang for your buck. Pop-up concerts anyone? That’s all we’re saying. 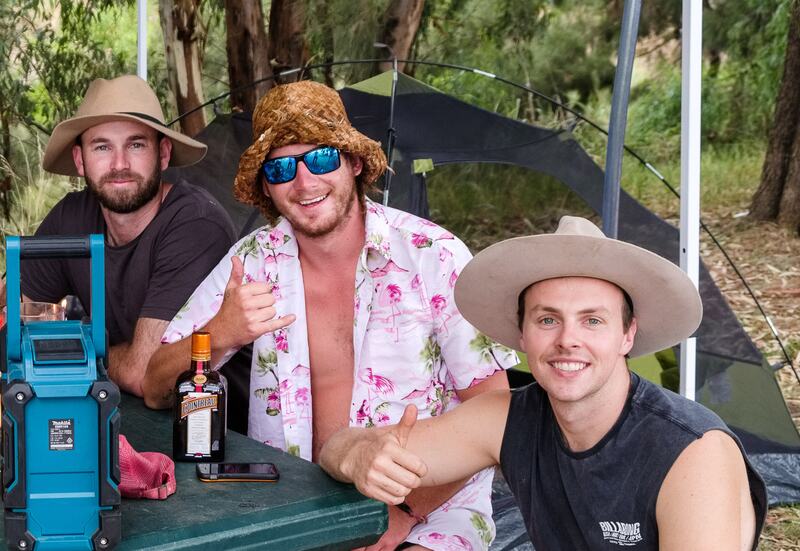 For a truly unique #TCMF2019 experience, camping is the go. For information on a whole range of camping options, head to https://www.tcmf.com.au/camping.